Our drywall repair experience is everyone's guarantee that services are carried out with immense attention and perfection. We might have expertise and deep knowledge of the right procedures for ceiling repair but our experience has also taught us that such problems require careful movements and attention. Thanks to this approach we can ensure perfect Drywall Ceiling Repair. We have the technical ability and capacity to repair anything that is wrong with your ceiling. Whether there is a bump in one of the drywall corners, damp parts or big holes, we can repair everything properly. “Drywall Repair Torrance” takes pride of the great competences of its contractors and can also assure you that everyone under its roof is totally dedicated. We understand that ceiling issues are serious especially if they affect your everyday life and threaten your safety. You can be sure that our drywall services are immediate. When the problem is urgent, we try to be there as soon as possible. We have excellent contractors with amazing drywall experience and they can easily understand the extent of the problem. We work with new generation tools and so we make sure the true reasons for the problem are revealed. We can repair sagging ceilings, replace the damaged fasteners or frames, check the condition of the joists and make sure the existing panels are of the right size and taped properly. Our expert contractors deal with Drywall Ceiling Repair services often and have tremendous experience of the real reasons behind each problem. We know how to fix ceilings and promise to complete our job in due time and with efficiency. When the problem is pricey and patch repair won't be the right solution, we suggest new ways to handle the issue and always to the long term advantage of the customer. Rest assured that the specialists of Drywall Repair Torrance have the skills to replace damaged ceiling parts and the whole ceiling, too. When we are obliged to do that, we inform the client first, always use special equipment and make sure the new parts are taped, sanded and coated perfectly. 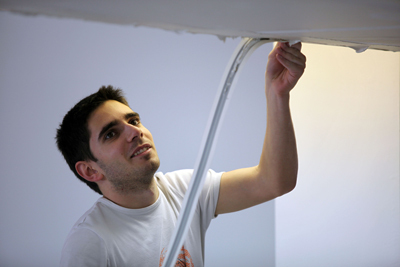 Trust our team when you need water damaged Sheetrock repair. 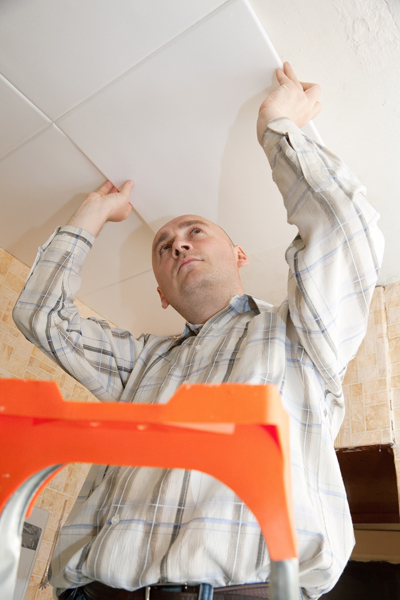 Ceilings are often affected by broken roofs and bad plumbing. You can be sure that we will take care of the problem as soon as possible trying to prevent mold growth but then again we can still deal with such issues and promise effective service. We can repair small and large holes, remove popcorn ceilings and deal with all ceiling problems effectively. Call us for more information!